Transformation, and a huge one at that. Everyone has an area of life which needs transforming at the moment, and this week’s energies, of which I speak in the accompanying video, are designed to help you do just that. One of the things I did not mention is the square between the Sun and Pluto today. It is time. Do the work to transform your life and you will see there is an incredible rebirth on the horizon. Everyone who has followed me for any length of time knows that I pulled all of these cards many months ago, so when I arrive at a day like today, I am always awestruck by the Universe. Pluto rules Scorpio (hold the thought that Jupiter is currently in Scorpio), and Pluto is the planet of death and transformation. So, while the Sun square Pluto today may feel a bit intense, and not necessarily in a bad way, in three more days there will be the second of three sextiles between Jupiter, planet of expansion, and Pluto. From pretty much this point forward, the coming days, weeks, and months, are meant to permanently close out a chapter of your life and open doors to a whole new world. Embrace the change and close those doors. For my take on the Astral Death card, I wanted to stay with the traditional theme of a skeleton on a white horse with a black and white banner. To adapt him to a galactic theme, I portrayed him as an alien riding his dead, white horse. The cool planet and flaming sun, each setting and rising respectively, symbolize change, rebirth, and immortality. My two astronauts, although doomed after their spaceship crashes, have embraced death and change without fear. The spaceship can be seen as a device that transports souls across the River Styx, symbolized by the water vapor that Death is going to carry them through. A spaceship has crashed on a far off planet. It is not a planet that is overtly hostile, but still alien and unforgiving of human frailties and needs. The two survivors sit on the planet, with no hope of rescue. The space helmet of one has shattered in the crash, and the atmosphere is slowly killing her. Death approaches on a white steed, but instead of fighting, or running, she reaches for him happily, calmly, accepting her fate. When this card appears in a reading, this is not something to fear – the death that it brings is a journey to a better place, a necessary change to improve the situation. A perfect depiction of the old saying “when one door closes, another opens”. It is not to be resisted, but welcomed. This is a chance for rebirth and renewal, to get rid of what is no longer necessary. A chance to walk away from attitudes and habits that have held you back, so that you can focus on what’s essential to you, moving forward. 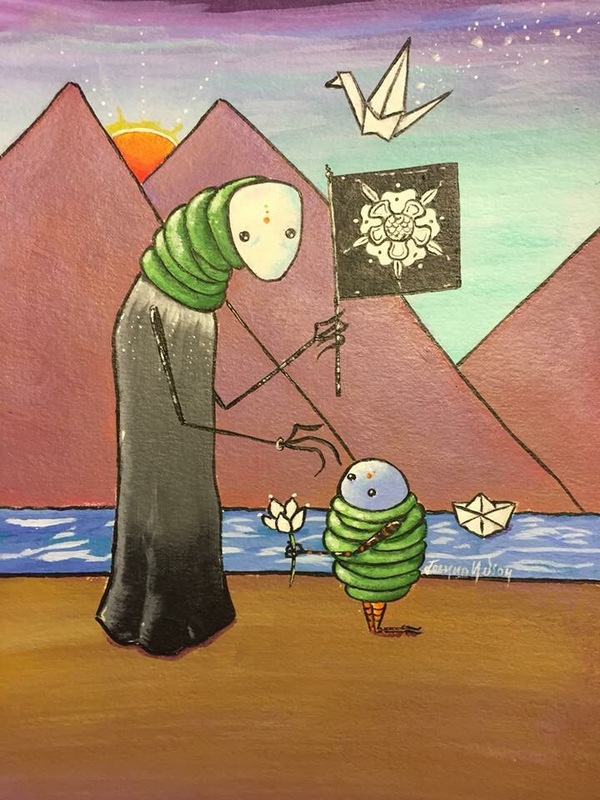 This entry was posted in Artist, Deck Review, Featured Card of the Day, General Tarot, Readings and tagged 78 Tarot, Astral, Death, Tarot. I have been waiting for this card to appear today, and did not want to spill the beans! Finally! Should we say this is the end of the road? Or is this where it all begins? I would say probably a little bit of both. This is a very momentous time for so many of you out there. It is possible that a door which closes now can either bring you great joy, or have you shed a tear over a chapter which has ended. Either way, this ending is about to give way to a beautiful new beginning. So many people fear this card, but I do believe, at this point, you are realizing that what is ending is a chapter of your life. Many wonderful things await you in the new chapter, so allow yourself to proceed with this transition, without fear, while maintaining faith in the Universe that it will bring you to exactly where you need to be. This entry was posted in Card of the Day, General Tarot, Love and Finance, Patreon, Readings, YouTube Videos and tagged Card of the Day, Death, Guidance, Path, Reading, Tarot. What a perfect card for a Full Moon Lunar Eclipse! Full Moon blessings, everyone! This has to be the most beautiful Death/Rebirth card I have ever seen, coming to us from renowned Australian artist, Ravynne Phelan, as part of her Dreams of Gaia Tarot deck. The image alone speaks volumes, and Full Moons, well, they do bring endings, as do Eclipses, even moreso. Not all endings are easy, but they do all give birth to a new part of life. There is a new chapter forming at this time. Allow yourself to shed the former life and release it with dignity and grace, and prepare to move on in life’s journey. This entry was posted in Card of the Day, Full Moon, General Tarot, Love and Finance, Patreon, Readings, YouTube Videos and tagged Card of the Day, Death, Guidance, Path, Reading, Tarot. The Death/Rebirth card symbolizes cycles and change. 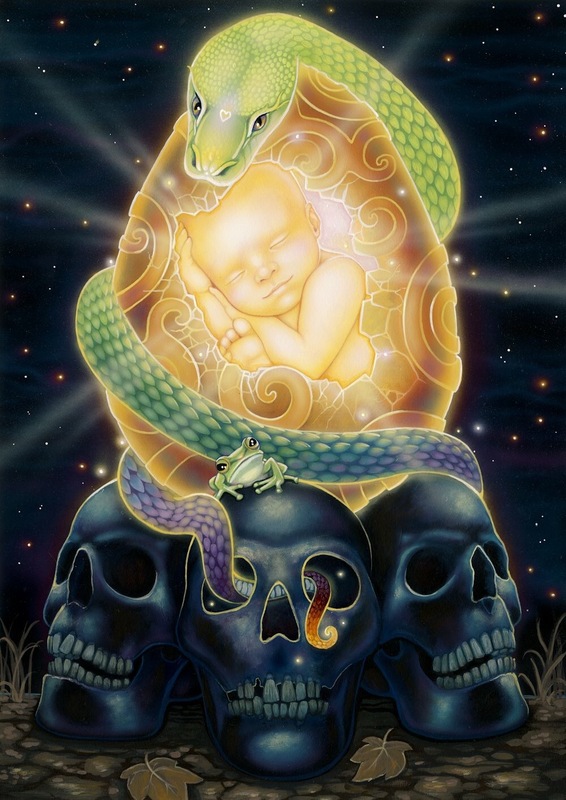 Death/Rebirth is the death of the old and the birthing of the new. It is time to let go of the past and turn to face a new and unknown future with the awareness that there is no going back. It is time to begin again, sometimes with nothing but memories, and at other times with everything external unchanged, but with your mind so altered that everything seems different, strange and unfamiliar. It is a time to pass from one stage or state of being to another – and to be transformed so completely that the person undergoing the change no longer recognizes themselves. They are the caterpillar that has become a butterfly. An irreversible process of transmutation is complete. The person they were is forever gone, and they have been reborn. Life as they know it has changed. Change can inspire many little painless deaths and sometimes great deaths born of intense loss that must be mourned before we can face the future with excitement and anticipation once more. The loss of a spouse or family member, the end of a long-term relationship or career, retirement, and illness are just a few experiences that can bring about a death and rebirth process. Ours is a perpetual journey of undoing, being and becoming. 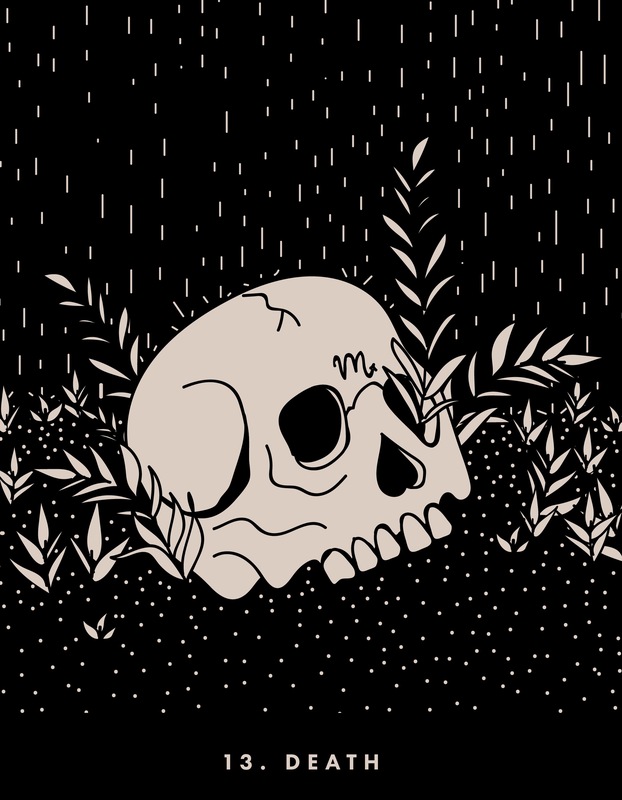 The death preceding rebirth can be quick and sudden, or slow and painful. In the process of dying, everything in life revolves around the death …the pain, the suffering, the anguish, the loss, the guilt, the anger, and the fear. The pain can be so real it is debilitating. The fear can be so paralyzing that it halts all growth and has one withdrawing from life itself. We can cycle around, analyzing, questioning, preventing our wounds from healing, refusing to accept that life has changed, and there is nothing that can be done to restore it to what it was. That stage of life is over. There are only two choices – remain in limbo, or accept reality, surrender to death, and be reborn. The rebirth process can also be problematic. It is not an instant process. Sometimes, before we can soar, we must also learn how to fly all over again. Yes, our outlook can be positive, but the future is still unknown. Our beliefs have changed. Our perception and understanding of the world around us have changed. Our roles and purpose have changed. Our lives, and state of mind, and being are not as they were. We know what we are capable of, but first we must learn and adapt to the changes that led to the little death in the first place. 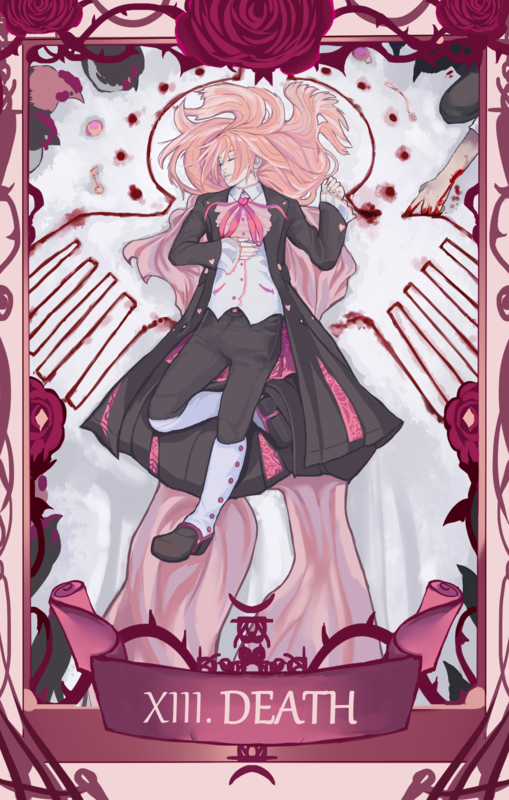 The Death/Rebirth card is all about renewal, regerneration, and new beginning. Like the seasons, we are bound by a cycle of life, death, and rebirth. Like the planet we dwell upon, we experience seasons and stages – spring, summer, autumn and winter. Spring is a time of new growth, summer a time of fruition, autumn a time of letting go and dying, and winter a time of dormancy and regeneration. Autumn and winter can inspire feelings of loss and fear, We fear death and change because we do not know what comes after; but the truth is that we do know – but we are so accustomed to life as it is now, that the idea of anything different creates resistance. There is, however, no halting change, and just as we know and trust that spring will follow winter, we can know and trust that after death we will be reborn. 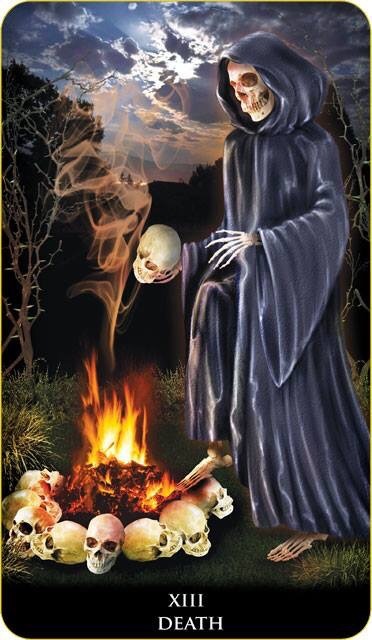 Death is just a gateway to a new reality, a new stage of your life journey, while rebirth is symbolic of an evolving and expanding consciousness. 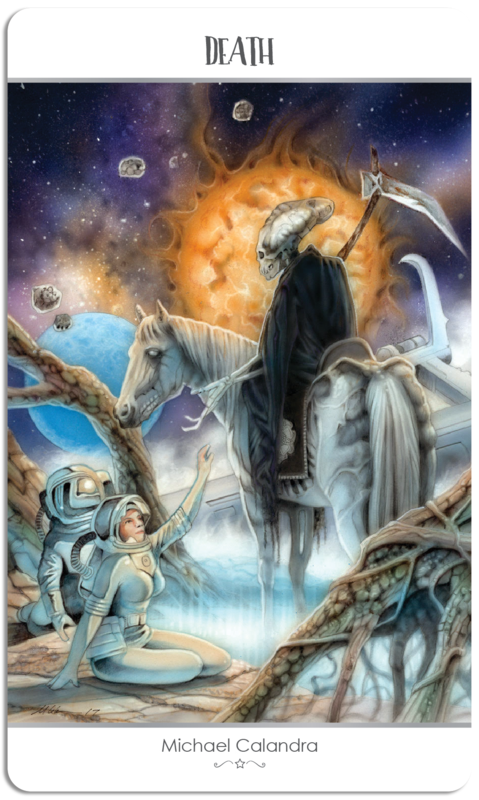 This entry was posted in Artist, Deck Review, Featured Card of the Day, General Tarot, Readings and tagged Death, Dreams of Gaia, Ravynne Phelan, Rebirth, Tarot.